There are so many places in Australia that stand out as must-dos. Read here about the locations, cities and more. After leaving Melbourne, the best thing to do if the purse is getting slim as it should be if what should be seen has not been missed, is not to open the tourists kit. To do this is to be confronted with the list of other beautiful places and cities waiting impatiently for immersion in them even if only for a day or two. The truth is that beauty is worth taking a risk with may it be an idea, a place or person. And so, take the risk of visiting Victoria, Hobart, Perth, Adelaide and other Australian cities. They all add to your being a winner of wonderful experiences that you will never forget. If you visit all these cities but do not visit the parks – Kakadu Park, the Outback National Parks, Uluru Park, Katherine George, Eyre Peninsula, Barossa Valley National Parks, Northern Tablelands Parks, Blue Mountain Parks, Sydney Harbour Park, Riverina, Illawarra, Toowoomba, Capricorn Coast, Sunshine Coast, Gulf Savannah, Whitsunday Coast, Murray River, Great Ocean Road, Hobart Parks and others – even though you have been here, there in Australia, you still have not been there completely. 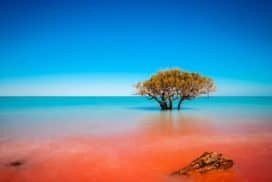 There is nothing to compare with their kind of mountains, gorges, plains, thunder in the ocean, beaches, rocky headlands backed by sand dunes and low hills, all these and more, in all that you have seen around here in Australia. Having said all this, we have to say that which our heart tells us that is true. It is true that the magic of Australia, the reason why visitors flood the country from all over the world every year, every season, has to do with the hospitality of the people. The flower, a natural beauty, does not attract if its seller is the wearer of frown. Honey, natural sweetness, is bitter if its owner is the nurse of anger. From all this follows that the natural attraction of Australia is the result of the flow of you are welcome here from the people and we belong together from Nature both of which register in the hearts of those who come now and will come again. Where this happens what you get is harmony. That is paradise. Welcome to Australia. In Australia, Nature showcases the beauty of the blossom of her bounty. It matters not only that which is given but matters too how the given is transformed with tenderness as it is the case with the Natural Parks of Australia. The soothing glow of the sun as it resigns unwillingly to its bed here to say good morning elsewhere, the lavender of the earth as she breathes health and care out that is easily picked by the children and those who could sally out of the arrest of shopping and liberate themselves from the clutch of what to buy and buy again to go back to the bosom of Mother Nature in the park or the forest or the sea around in this land, are contained in the invitation to the basket of natural beauty of a land in grandmother’s loving arms of the sea. Australia. All over the world, there is natural beauty to be found if not in the rolling waves of a joyous flow as it is in Australia but as sudden surprises around the corner, in the straight, on the hills and lowlands as punctuation that constitutes the place of resort for the human soul in need of home of rest and peace, here and now. The difference that is Australia is this devotion to the environment, this commitment to Nature’s health that is repaid, as to be expected with Nature’s beauty in the flowers, in the trees, in the air, right from the bowels of the earth and the reach of the heaven, yes, everywhere to the extent that ecology is not just an academic exercise nor the practice of armchair philosophers who preach rapport and shut themselves away from the world, preach love and resign behind the closet nor that of well, everybody is talking global warming and all that, let’s talk same too and don the base cap of ecolovers, well, isn’t that beautiful, such things, but a way of life to pass on to the children and from them to posterity. With this, it’s welcome to our first place of visit among the famous national parks of Australia – Kakadu National Park. Are you planning to make a move and come to Australia? Indecisive about where to go, the best place to reside or the type of experience you want to have? 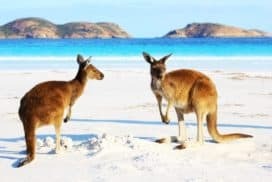 Around 5,000.000 visitors arrive to Australia every year and their main reasons to travel Down Under include holidays, business, education, employment and visiting friends and relatives. Their decision is based on the different features and possibilities along the Australian Capital Cities. Australia caters for different lifestyles and budgets. It is up to the visitor where to settle considering his/her job situation, accommodation needs, climate preferences and other personal circumstances like funds and living standards. Once the traveller has put all these considerations together, making a decision about a final destination is much easier and plans about his/her stay in a certain city can be made. The ideal for a visitor is to select a city that offers a balance between economic opportunities and cost/quality of living. On top of these considerations, he/she will need to place professional goals and personal needs. For instance, if you are looking for a place to explore night life and the excitement of big cities, you might stay near the main capitals or areas with high population; but if you prefer quietude and a slow-paced life, you could choose more isolated areas such as small towns and less populated cities. Another thing you need to take into account is the weather. As a reference, people who are not fond of cold temperatures could be very happy in the heat of Northern Territory, Western Australia and Queensland; with Darwin maintaining high temperatures and steady rain along the whole year whilst Perth and Brisbane hold warm summers, some humidity and mild winters. Although NSW, Victoria and South Australia are known for their hot summers and heatwaves, they also offer much cooler winters and wind chills. Nevertheless, this pronounced weather does not prevent capital cities Sydney, Canberra, Melbourne and Adelaide from enjoying a warm atmosphere, sunny days, beaches and backyards almost all year around. As it is expected, not everyone finds high temperatures amusing. There are those who can handle a cold climate and take pleasure in winter and indoors activities. 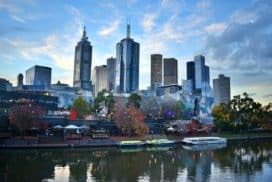 Those who find heat far off their liking can take advantage of cities like Adelaide and Melbourne once the summer is over, or reside in Tasmania with Hobart as the capital city, reaching a maximum of 21in summer and evident wind chills and clouds along the whole year due to its southerly latitude. In addition to weather preferences and lifestyle, your budget plays an important role when deciding where to live in Australia. Knowing how much you can spend will tell you the type of accommodation, food, education, transport and entertainment you will afford. The cost of living for every city in Australia calculates the average amount of money spent on these components and also includes personal and incidental expenses like health and leisure. Surveys and poles carried by universities, migration consultants and the hospitality industry agree that Sydney has the highest cost of living in Australia. 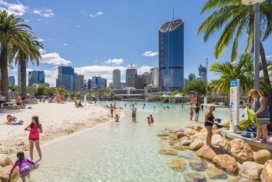 A survey conducted by Mercer Human Resource Consulting shows that Melbourne and Darwin hold a second position, followed by Brisbane, which has been rated as one of Australia’s least expensive cities. Despite this, some cost of living calculators and customized reports state that Perth, Adelaide, Canberra and Hobart have even lower costs of living due to isolation or demographic factors like population levels and development. 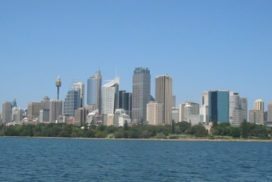 Additionally, reports like these establish that although Sydney, Perth and Melbourne have the highest paying salaries, cities like Brisbane and Adelaide have been increasing their wages in the last years, which makes them attractive destinations due to their affordability, development levels and professional/ economic opportunities. As you can see, your decision should be based on several factors, but you can be sure Australia has place tailored to your budget and whether your purpose is studying, travelling or migrate, you will need to be aware of your financial resources and how to obtain the best of them in a particular area or town. When going on vacation most people want to take in as much as they can from this new place away from home, experience life as the residents do; go everywhere, see everything and with their valuable time playing a factor, some locations were set a part where people can go and just simply enjoy themselves. While in Australia, though everything is beautiful some places are just more appreciated because you might not have that rain forest in your home town or that crystal turquoise water in your beaches. 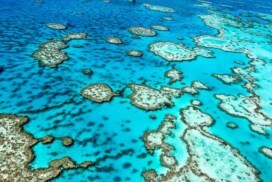 Some places that are world wide known or top 7 nature wonders of the world that you should visit and will catch your eye are; The Great Barrier Reef; along Queensland, is the best place to view all see life and CNN has named it in the past one of the top 7 nature wonders. Known as the world’s largest coral reef some animals that habitat here are a variety of fish, humpback whales, Indo-Pacific humpback dolphins, sea turtles, saltwater crocodiles, over 125 species of sharks, stingray, pipefish, seahorse, white-bellied sea eagle, snapper, coral trout’s and seaweed. Another location is Tasmania, for the more outdoor, first hand experience this is ideal for everyone who enjoys being outside. This hiking and camping destination is just off the coast, with activities such like golfing, watching wild life, horse riding and spending an afternoon on a yacht is a great place to experience history, art and culture all wrapped into one. An alternative great place to visit where you can join in on the fun is Sydney Harbor Bride. Celebrated its already 10th anniversary, this is the ultimate rush; combining the love for heights and adventure. Bridge Climb is unknown in most parts of the world, making Australia one of the few places allowing people to have the time of their life. With over two million people already experiencing this journey, is a 360 degree view of Sydney. For a different way to travel, another fun destination is Daintree Rainforest. One of the few places in the world with its own rainforest is the ideal location to view a variety of plants and animals. Located in North Queensland, 4WD tours are set up for tourist and resident for a broader view on wheels. For a view from the sky, a helicopter ride over great ocean rode is just what the doctor prescribed. This unforgettable ride offers scenery like no other, from iconic landmarks to historic sites according to matador webpage. 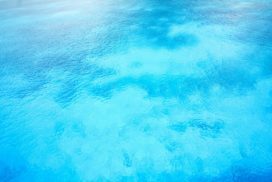 And for water lovers, chartering a yacht from Cairns does the trick, is a great way to experience the Great Barrier Reef and Whitsunday Islands. Water in Australia is a precious resource and Australians take care of their beach, which is why you will find so many turquoise colors, golden sand locations, such as Bondi beach, one of the most famous destinations to tan, relax, swim and surf. During the summertime more than 25 thousand locals and tourist visits this local. But did you know that there lakes are just as precious. You can swim at Lake Mckenzie in Frase Island. This Lake is one of the world’s largest sand islands with serene clear water and a sandy beach surrounding. Another relaxing place to visit is in Sydney Australia where the oldest wine growing region is open to people to explore, kick back and enjoy the views and taste of some of the best wine around. To visit one of the highest mountains in Australia you can climb Mt. Kosciuszko in summer or winter. Or make your way up “Ayers Rock” to watch the sunset over Uluru. This sandstone rock is located in Australia’s Red Centre. You can also pet wild crocodiles in Kakadu, at the top end of one of Australia more remote area, a landscape separated from this wild creatures were created for anyone with the sense of adventure can pet a live crocodiles. Or you can always just swim with the dolphins at Monkey Mia, a small West Australian town, where swimming and frolicking with the dolphins is a tranquil activity to do. And last but certainly not least, one of the most historic sites in Sydney is the Opera House. This iconic building of Australia is famous for performing arts and artist. Theater, musical and dance performances are performed offering an experience you will never forget. Australia’s capital city of Canberra which is a relatively small city where the Australian New Parliament, the Australian High Court and the Australian war memorial are all located. These landmarks are very notable, especially for foreign students, this would be very enlightening. Sydney Harbor Bridge, which is a bridge linking the two old cities when Sydney city was divided into two cities. Here you would have the opportunity to get some of the best views you would possibly see in Australia as you get a ride on the ferry, the bridge that was built in the early nineteenth century and does attract huge numbers of tourists from allover the world. Uluru, which is located in the Northern territory of Australia, has been a historical site for many years, and gives many insights into the origin of the people of Australia. Here you would also get to see the National parks. 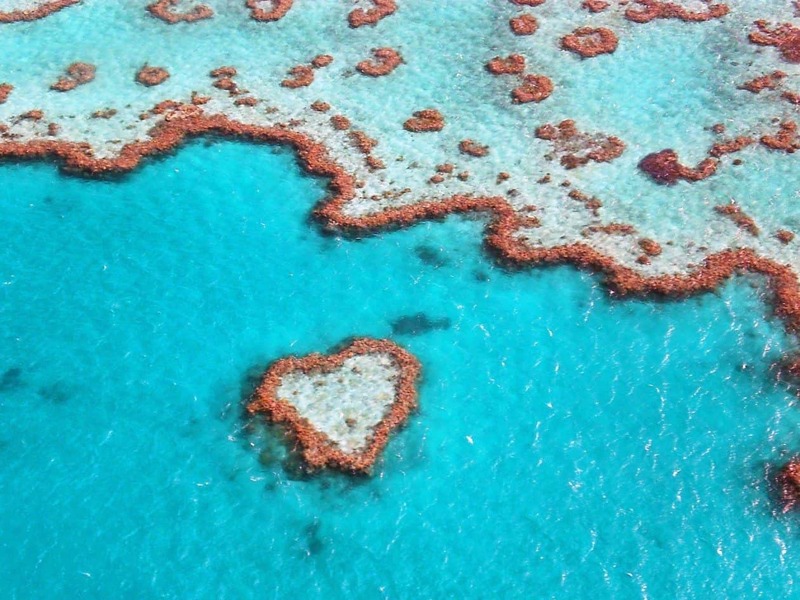 It is the biggest coral reef that exists in the world, off the coastline of Queensland. It is a very good place to view the amazing feature as one takes a cruise along coastal waters or just being around the place. Hunter Valley located in New South Wales. Here you will be able to get a chance to see Australia’s oldest wine region and many more iconic buildings, wineries and lots of other attractive sites. This is where you will find the largest sand Island in the world. You can take very beautiful pictures here and keep them as souvenir to remember your experience in the largest sand island in the world. Kangaroo Island in South Australia, it is a place that you would live to remember more so if you love nature. You get the opportunity to see animals like the Kangaroo living in their natural habitat. Broome is a hot spot tourist destination located in Kimberley region of Western Australia. You will be able to see fascinating sandstone cliffs and the huge masses of land covered with sand. Here you will find the home of the famous 12 Apostles that is a great tourist attraction place and get to travel through very beautiful scenes along the road. The Hunter Valley in New South Wales is a huge tourist attraction place where you will find lots of vineyard restaurants, golf courses, guest houses and wineries. One of the largest horse breeding places is located here. This is just a list of ten places but there is a wider range of variety to choose from. Many travelers regard Australia with the same sort of exoticism that you might find in the Great Basin Desert of New Mexico or the supposedly 'happy-go-lucky' cigar leaf rollers of Cuba, but as it always is with travel, the traveler has to stick out his neck and realize that they absolutely nothing about other places until they have ventured forth and experienced it. For some, the act of travelling to another country alone is enough to fill their sense of adventure, for others, seeing as much as you can while you are here is the stuff of the best memories. In my book, however, the dust covered land with its strange features and even stranger plants and animals can only keep you company for so long. Meeting people, or going to places were people are likely to convene (and no, i don't mean communal public toilets) and have some revel in some non-work related pleasure. 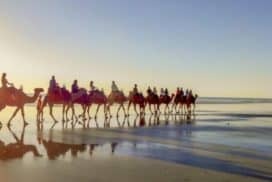 If you want to discover Australia completely, you must find a way to explore both its environment and the complex social climate which includes a vast population of people from all over the world. This is discovering Australia. Looking for a winter break? As Australia is a whole continent and has most of the population living near the coastal areas, going to the beach is the most popular summer past-time. However, Australia, like many other countries in the world experience four seasons in a year. Albeit small, the winter season is very imposing. Winter season does bring with it a very different image of the Australian society. It complements the summer season in satisfying Australians love for sports and taking short holidays. Melbourne, Canberra and Sydney are the capital cities that enjoy being closer to the famous Alpine region of Australia. Within Victoria, there are numerous snow mountains that are popular among Australians. Mt Buller, Falls Creek, Mt Hotham, Mt Baw Baw, Mt Stirling etc provide winter holiday experience that many tourists cherish. For skiers and snow boarders, these Alps provide packages to suit all levels. For the less adventurous, these places provide a comfortable place to relax and soak the holiday atmosphere. The joy of having a cup of coffee at a café by the window overlooking the mountains full of skiers should not be underestimated. Like Victoria, New South Wales alpine resorts are also very popular among tourists. They include Thredbo, Perisher Range, Mount Selwyn, Charlotte Pass, Kosciusko Mountain Retreat, Ski Rider etc. The snowy mountains drive in New South Wales provides scenic views that are sure to impress anyone. Tourists coming to Australia during winter should make an attempt to visit one of these places to ensure they experience Australia’s winter offering to the world. So many people want to see Australia but can't afford to stay here, so why not come here and live for free? Au Pair's are needed NOW so put your details down to find out more.